From Canada comes the debut release titled "Throwing Stones" from singer/songwriter Emily Jean Flack. She is the daughter of Denise Flack, who is a member of the Celtic pop band, Leahy. Emily's new album begins with subtle touches of piano and guitar, while her voice simply soars with beauty on the opening track, "Another Year Gone By." The gentle acoustics of "One Word" are the perfect backdrop for Emily, as you will easily be drawn in to her vocals. She moves into a more pop direction on "Not Gonna Be The One," while also bringing in aspects of her Celtic background. 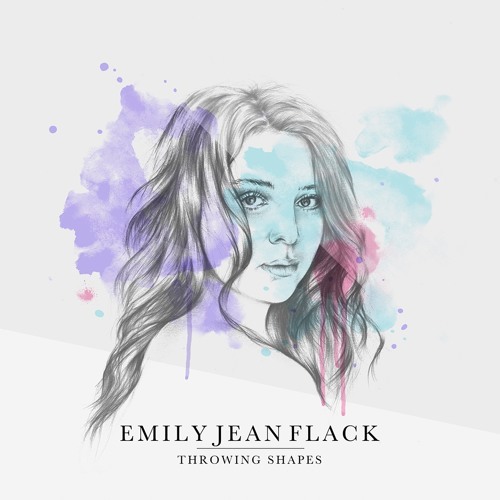 Emily Jean Flack wraps up her new short five songs release with the most up-tempo track on the album, "Throwing Shapes." To find out more about newcomer Emily Jean Flack and her latest release "Throwing Stones," please visit emilyjeanflack.com. Next, from Nashville comes the latest self-title release from singer/songwriter Jordan Indiana Gonzalez. His new thirteen-song release begins with the energetic pop tones of "Wildfire," as the nickname "American Ed Sheeran" seems to be the perfect fit to describe Jordan's sound. He quiets down for the gentle ballad "Today Is A New Day," as you begin to fall in love with his stellar songwriting and warming vocals. He quickly returns back to the pop roots of "Losing You" and "Patiently Waiting," while the songs "Everything" and "Memory" are the perfect selections to get Jordan the recognition his music deserves. He wraps up his new album with the beautiful pop journey aboard "Starship" and "Burning Heart," as Jordan continues to follow the blueprint of mainstream chart success. 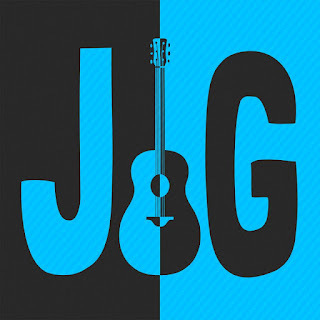 To find out more about Jordan Indiana Gonzalez and his latest self-titled release, please visit jordanindianagonzalez.com. Arriving April 5th, is the sophomore album from Brooklyn's Girls On Grass. 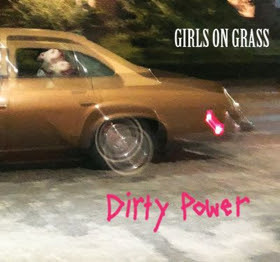 The new release titled "Dirty Power" features eleven tracks, beginning with alternative, Americana pop energy of "Down At The Bottom" and "Street Fight." The band deliver a more countrified sound on "Got To Laugh To Keep From Crying," before expanding into rockabilly territory with the swift pace and stunning guitar work of "Two Places." Girls On Grass showcase a nostalgic rock/pop sound with the addictive "Into The Sun," before wrapping up their new album with the guitar boogie of "Commander In Thief" and the up-tempo, acoustic strumming of "Thoughts Are Free." To find out more about Girls On Grass and their latest release "Dirty Power," please visit the band's Facebook page at facebook.com/girlsongrassmusic.